We have never met a sprinkler problem we couldn't fix. Over 40 years of fixing all kinds of problems has prepared us to quickly, creatively and efficiently fix yours. Why waste time and money with inexperienced businesses? Give us a call and leave the worry to us! 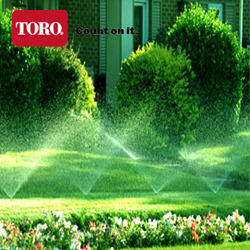 Are your sprinklers in need of some adjustments or a tune-up? Not satisfied with the result you are getting? Give us a call to come and take a walk through. With our extensive experience and years of troubleshooting, we can help you achieve the success you are wanting. PHYSCAL ADDRESS: 1908 E. MALLON AVE.